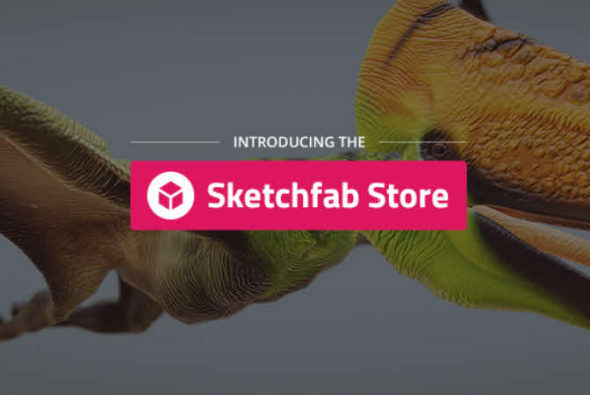 Sketchfab has announced its new asset marketplace, the Sketchfab Store. The ability to make content available for download has been possible on the Sketchfab platform since 2014, but only via a creative commons license. Now users can offer commercial content as well, enabling them to monetise their work. Firstly models are presented in a real-time 3D viewer with model inspector options that enables buyers to see exactly what they are purchasing. Thanks to this a lot of information is available to prospective purchasers that wouldn’t be obvious from renders alone. Secondly, files are processed by Sketchfab so the technical information is generated automatically, and is therefore certain to be accurate. For greater interoperability downloads are also provided in glTF format for consistent rendering in many engines including Unity and Unreal. A Unity importer is available in alpha with an Unreal version promised soon. At present sellers are vettted to ensure high quality content. Sellers must apply for an account and be able to provide a high quality portfolio with technical capabilities that meet industry standards. Paypal is currently the only way to manage transactions, but other forms of payment are promised soon. In addition to Paypal’s transaction fee, Sketchfab will take a commission of 30%. To find out more about the Sketchfab store, how to set up an account and see examples of content see the post on the Sketchfab blog.